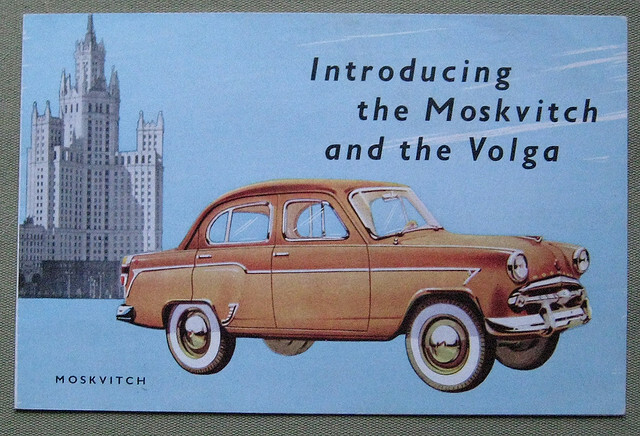 Moskvitch 410. Scans by Hugo90. 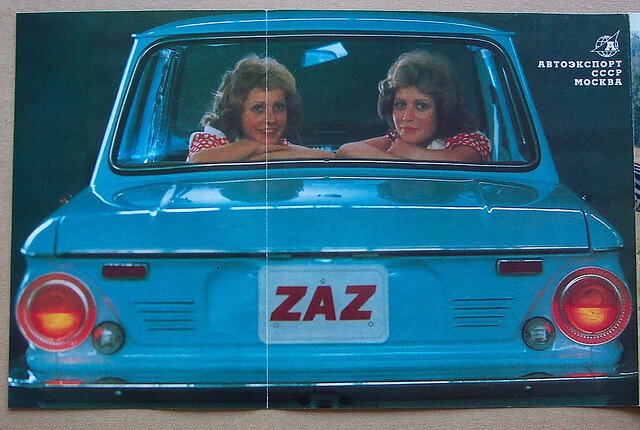 Another portion of the Soviet export advertising and it’s all about cars this time. 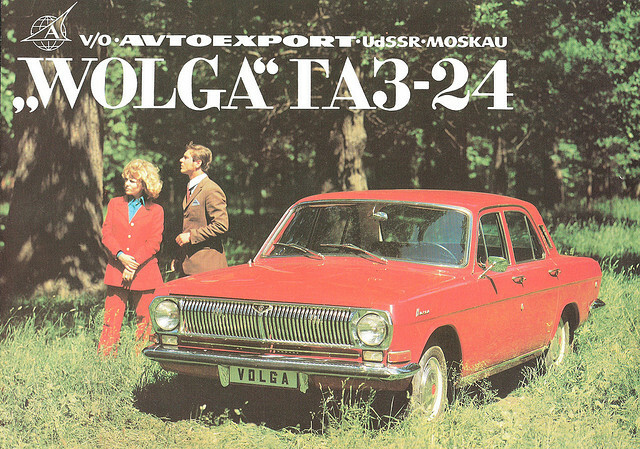 Soviet cars weren’t the most comfortable automobiles in the world, but the brands were fancy – Volga, Moskvitch, Zaporozhets. Volgas were built to last in the harsh climate and rough roads of the Soviet Union, with high ground clearance (what gives it a specific “high” look, contrary to “low-long-sleek” look of Western cars of resembling design), rugged suspension, strong and forgiving engine, and rustproofing on a scale unheard of in the 1950s. 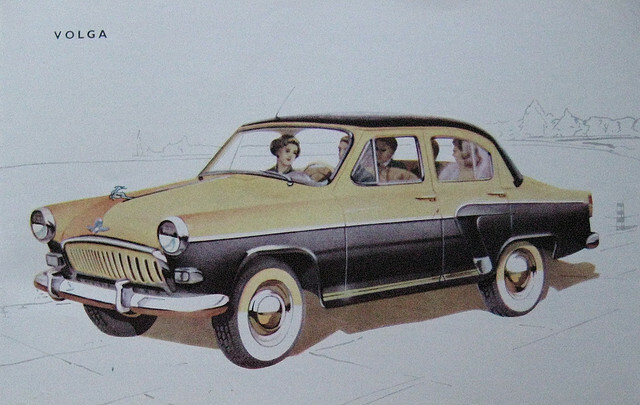 GAZ-24 Volga was exported to many countries from Indonesia and Latin America to Western Europe. Right-hand-drive export version also existed. 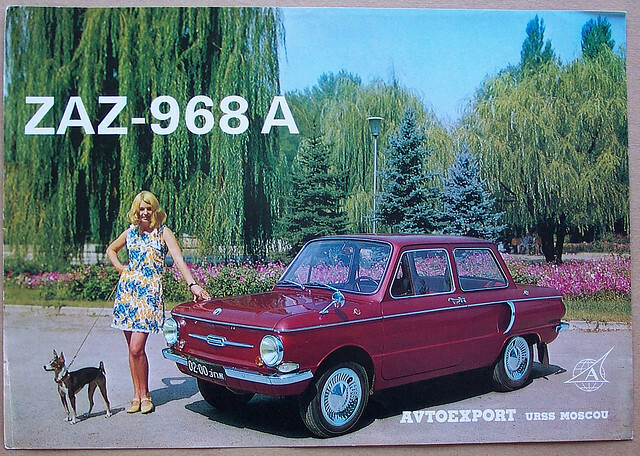 ZAZ-968 Zaporozhets was produced from 1972 to 1980. 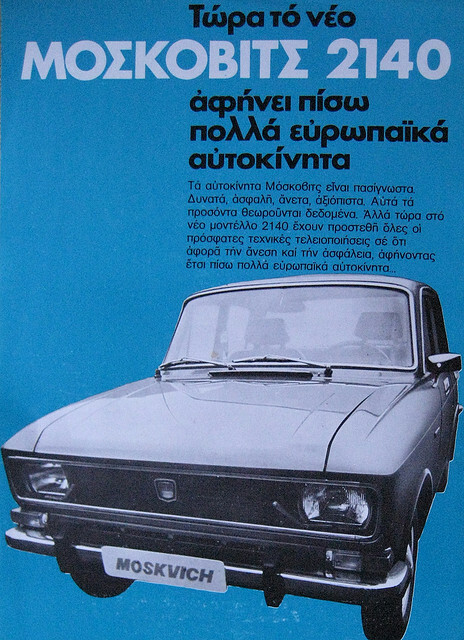 It was the cheapest Soviet car and so the most affordable to common people. 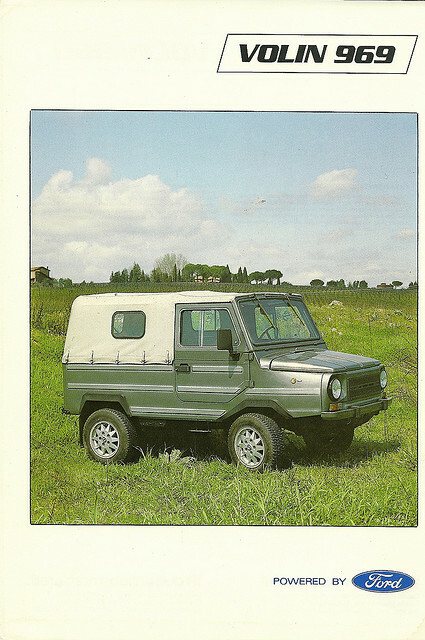 At the same time, it was rather sturdy and well suited to Soviet roads. Volin was a small Soviet four-wheel drive vehicle. Apparently, the export version was powered by Ford. Well, in Soviet Russia, car drives you. Previously at metkere.com: Soviet Plastic Bag from Expo 67, Soviet Brochure from Expo 58, Russian Infographics in 1912.